· “Call to Action” stopped a 271% increase for ALL Agents/producers paying B&O Taxed. Leadership Coalition testifies in Olympia, NAIFA WA, WAHU, IIABW, PIA, Farmers, American Family, 1000’s of the Producer Community call their legislators! Strong NAIFA WA representation on the Office of the Insurance Commissioner’s Agent/Brokers Life, Health, Disability Advisory Council…keeping NAIFA WA informed and involved with the OIC. · **NEW VICTORY** “Agent/Producer” presence on the new Washington healthplanfinder. 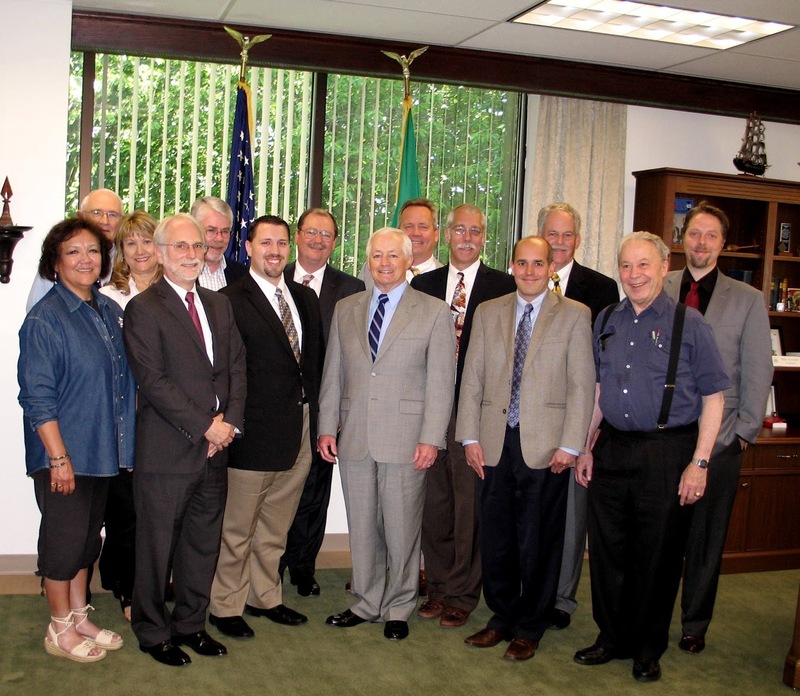 Mel Sorensen, NAIFA WA Lobbyist notified us that after the June 16th Washington Health Benefits Exchange meeting with the Exchange’s Agent/Broker Advisory Group raised a number of priority issues for the producer community. The meeting was about the Exchange website and making sure that agents/brokers get credit for bringing business to the Exchange. Finally, last week the Washington Health Benefit Exchange announced the selection of lead organizations to provide in-person assistance [Navigators] as part of the Washington Healthplanfinder Customer Support Program. I want to personally “Thank ALL the NAIFA Washington Members” that continued to step-up, get out of their comfort zone and get involved! NAIFA Member Advocacy/Legislative INVOLVEMENT is keeping the torch burning for our honorable profession…Guarding Family Security! Note: Due to changes in his business plan, Andrew “Drew” Hooper has resigned as Co-Chair. If you want to be more involved, please contact me at: (360) 708-3210 or Sharon@ssparling.com or John Nichols, President-Elect at (206) 721-7950 or jbnic@aol.com.